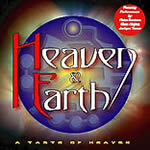 Heaven & Earth is on hiatus right now as Stuart Smith and Richie Onori have joined forces with bassist/vocalist Steve Priest to reform The Sweet. Please check out www.thesweetband.com for more info. Heaven & Earth, a blues based rock n roll band was formed in 1996 by British guitarist Stuart Smith after being offered a record deal by Samsung to record a solo album. The album, entitled Stuart Smith's Heaven & Earth which features some of rock's top vocalists such as Bon Jovi's Richie Sambora, Joe Lynn Turner (Rainbow) and Glenn Hughes from Deep Purple has been consistently hailed with rave reviews and is considered by some to be a classic rock mainstay. 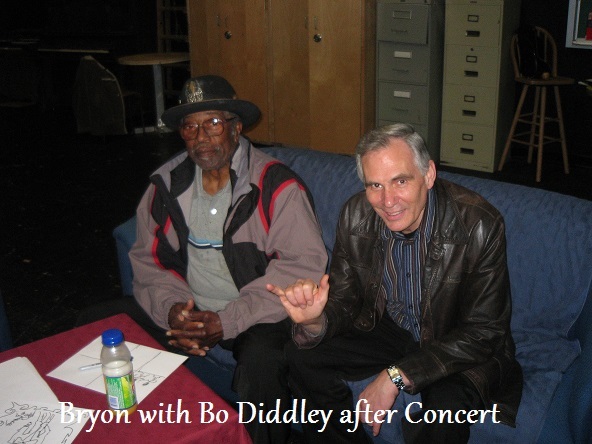 The CD has also become a much sought after item among collectors and rock aficionado's throughout Europe and Asia. Smith was classically trained from age seven and went on to be taught by Deep Purple's Ritchie Blackmore. He toured England & Europe extensively with his first professional band ""Sidewinder"" before moving to the States in 1983 where he joined the reformed ""Sweet"" and later formed the ""Aliens of Extraordinary Ability"" with Keith Emerson. In 1995 he put together Heaven & Earth. After the first release, Stuart was offered a second deal by European label Frontiers Records, known for signing some of Europe's top rock ""n roll acts. By this time, Stuart had made the decision to put together a more cohesive band situation and had enlisted the help of drummer Richie Onori who had already played on the first release. Richie, a well known and respected drummer, has played with such rock icons as Rick Derringer, Louis Johnson, Bobby Kimball (Toto) and also played with Stuart in the group ""Aliens of Extraordinary Ability"" with Keith Emerson of ""Emerson, Lake and Palmer"". Stuart and Richie made the decision to go with guitarist/producer Howard Leese from Heart to produce the second album entitled ""Windows to the World"" which was released in 2001 (Frontiers Records) and again received rave reviews and solidified themselves in today's classic rock genre with their fan base growing ever larger throughout the world. In support of the release, the group toured worldwide and was received by large, enthusiastic crowds wherever they played. Heaven & Earth are now hard at work with Grammy/Emmy Award winning producer Dave Jenkins on their latest release entitled: ""Screaming for Redemption"" which is being recorded at their own recording studio (Wine Cellar Studios in Woodland Hills). The CD is projected for release later next year on their own label, Black Star Records. The new label was the next logical step in today's independent label environment and has already secured other signings which include Howard Leese of Heart. Others soon to be announced. With the bands strong European and Asian following and popularity firmly established, they are now breaking into the U.S. market, set on achieving the same level of success. Black Star Records, with distribution provided by Burnside Distribution Corp., has acquired the rights to the first CD (Stuart Smiths Heaven & Earth) and has released the CD as Heaven & Earth featuring Stuart Smith in the U.S. where it was never released, with two brand new bonus tracks featuring stunning vocal performances by Bobby Kimball of Toto and Joe Lynn Turner of Rainbow. The U.S. release date is January 18, 2005. A forthcoming release, Screaming for Redemption is scheduled for release later next year. The band has been out playing live around Southern California at venues such as The House of Blues, The Key Club and The Canyon Club with singer Kelly Hansen at the helm but recently Heaven & Earth lost Kelly to Foreigner so they have recruited Keith St John (Montrose) as lead singer and are back out playing again. In a musical environment dominated by pop corporate thinking, Heaven & Earth has stuck to its guns and continues to blaze its own trail knowing, believing and proving that there continues to be a demand for their style of music. From A TASTE OF HEAVEN CD 2008 - With Paul Shortino vocalist. * Your song 'HEAVEN' has just been added to Music is Truth station! * Your song 'HEAVEN' has just been added to FAME & GLORY station! * Your song 'HEAVEN' has just been added to SOLMUSIC MANAGEMENT STATION station! * Your song 'SCREAMING FOR REDEMPTION' has just been added to SOLMUSIC MANAGEMENT STATION station! * Your song 'HEAVEN' has just been added to Maybe station! Maybe Thanks very much for everything! HEAVEN is playing here!